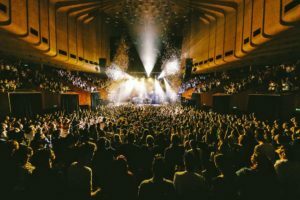 The Wombats are currently celebrating the ten year anniversary of their first album, touring Australia with Groovin’ the Moo and performing a few side shows. 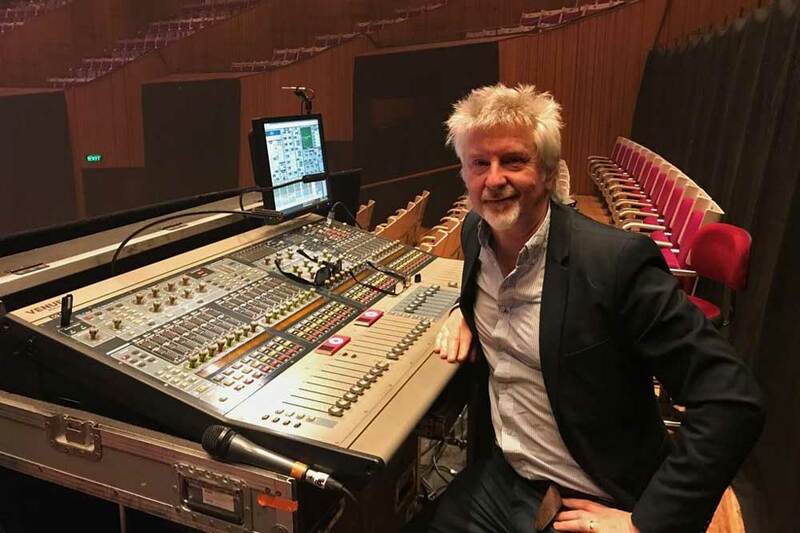 For the past five years FOH engineer Pete Bartlett has worked with the band as well as his other main act The Pretenders. The band members and crew were delighted to play a couple of shows at the Sydney Opera House, performing memorable and joyous shows. Let’s face it, it’s not often you witness six full-grown humans dancing around in wombat suits on stage whilst confetti guns spray over the crowd. JPJ Audio supplied a control package that included an Avid Profile for FOH and another for monitors. Pete was pleased to get everything he wanted! Pete explained that he tries to turn his Profile console as much as possible into an SSL console. The reason why is that he admits to being an eighties kid who learnt all of his tricks from being in bands and sitting in studios behind eighties producers. Pete commented that when he first started mixing for The Wombats, they had ten channels of playback so if they lost the tambourine channel, they’ve lost that instrument. He didn’t like that so he went into their studio for a couple of days to mix everything to left / right. 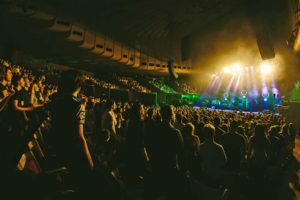 During his time in Australia Pete had a variety of PA systems, including L-Acoustics and d&B audiotechnik, but that didn’t faze him. Pete has had a deal with Sennheiser for the past eleven years after he used them with Bloc Party, in fact he is still using many of those original microphones as they’re still going strong. Pete commented that the JPJ Audio crew were fantastic and gave a brilliant service, saying that they made his job very easy.